Q: Are you running any online or offline business? Q: Are you accepting Bitcoin as payment for your services or products? If the above two questions and answers sound like you, then you are making a big mistake. You should immediately start accepting Bitcoin as a method of payment. For the uninitiated, Bitcoin is the “currency of the internet”, and it is gaining fast adoption worldwide. Bitcoin is a groundbreaking invention of computer science led by Satoshi Nakamoto which lets merchants accept payments 365/24/7 anywhere in the world. What is Bitcoin? A Beginner’s Guide. Merchants who are running an online business on WordPress or Shopify or anything similar online platform can now start accepting Bitcoin. But Bitcoin is not only limited to online businesses… offline business should also start accepting Bitcoin as payment. To do this, you will need to know about Bitcoin payment gateways for merchants. These make it possible for your business to start accepting Bitcoin. So today, I will tell you about those Bitcoin payment gateways that will make your life easier when accepting Bitcoin. BitPay is a leading Bitcoin payment processor based out of the US since the early days of Bitcoin in 2011. With the BitPay app, you can accept Bitcoin as payment for more than 40 integrations with popular e-commerce platforms and point-of-sale systems as well as convert it into 8 fiat currencies for bank deposits in 38 different countries. There are also lots of other features. Check your currency, country, and pricing structure here and here. Coinbase is one of the world’s biggest Bitcoin exchanges. But apart from trading Bitcoin on Coinbase, you can also use it for accepting Bitcoin payments for your business. Coinbase has a merchant app for businesses to start accepting Bitcoin where you can accept payments in Bitcoin and instantly convert it into fiat to save yourself from price volatility. 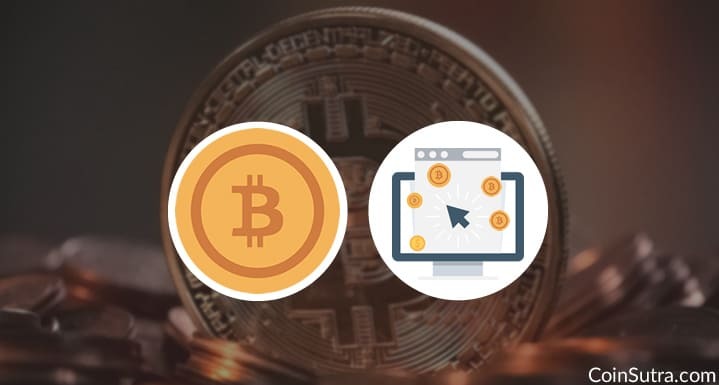 There are a variety of options for both offline and online businesses to start accepting Bitcoin via Coinbase merchant solutions. Currently, Coinbase is only available in limited countries, so don’t forget to check that your country is on this list before choosing Coinbase. CoinGate allows your business to accept Bitcoin/altcoin payments and receive payouts in EUR, USD, or BTC. It provides a wide range of solutions for various types of business needs like plugins for E-commerce, APIs, and point of sale applications with payment buttons for different platforms such as web, Android, and iOS. It also supports altcoin payments with ShapeShift integration. You can see this example of an e-commerce platform to see how Bitcoin/altcoin payment integration will look in real time. Blockchain.info is one of the oldest Bitcoin wallet players in the crypto world. They also provide Bitcoin payment APIs for personal or business purposes. But the process is not so straightforward because they don’t have ready-to-use plugins yet. That said, they are one of the best and most trustworthy solutions for merchants. If you have some programming language knowledge, you can integrate their payment processor for free which gives you access to their free Bitcoin wallet. SpectroCoin is another Bitcoin payment gateway for merchants based out of Europe. They have a decent customer base and provide a variety of options for businesses. They aim to create alternative payment options for customers and businesses around the world with their ready-to-use solutions such as e-commerce plugins, Bitcoin payment processing APIs, and other payment integration tools. Currently, SpectroCoin supports withdrawals in these countries with these fee schedules. GoUrl is an open-source project that provides unique Bitcoin payment solutions for its users. It is based out of the Commonwealth of Dominica and provides ready-to-use plugins for E-commerce and APIs along with free customer support for GoUrl payment integrations. Read about businesses that are using GoUrl Bitcoin payment solutions, and see their pricing structure. CoinsBank is a Bitcoin payment processor, wallet provider, and exchange based out of the UK. It doesn’t matter whether you are running an offline or an online business because, with CoinsBank, you can use their instant merchant invoice management app that lets you receive payments in bitcoins. Also, you can receive withdrawals in various fiat currencies according to this fee schedule of CoinsBank. Your business gets an alternative trustable payment method that works 365 days and 24/7. You can receive cross-border payments which you can track in real-time. Your business gets more profits, fewer fees, fewer credit/debit card chargebacks, and less fraud. It gives your business an option to keep some amount of your profits in BTC as an investment option. This could help your business in the long-term. Last but not least, you and your business get the freedom to ‘Be Your Own Bank (BYOB)’. So that’s all from my side in this article. I will keep updating this list of Bitcoin payment processors as I can verify them (there are many out there). So keep an eye here on CoinSutra! Now it’s time to hear from you: Which Bitcoin merchant app you are using? How has your experience been? Did I miss any major players in this list? Do let me know your thoughts in the comments section below! Where Do I Spend Bitcoin? Here Are The Top 5 Ways To Get Started. Nice list, some I knew and others I didn’t. Very useful for giving merchants some options and choice when choosing a payment processor for their store. You did however forget about CoinPayments.net who provide payment processing for bitcoin and over 125 altcoins as well! Ok will check that out in some time. No kidding. Can’t believe you missed CoinPayments. The oldest and most comprehensive platform around. Like over 400 currencies now. is there any payment gateway which can be used with monero ? What do you think about kraken to accept also differents payments, like ETH, XLM, XRP, etc. I can’t tell that as have no control or say in it. “we’ve seen the desire from our customers to accept Bitcoin decrease”; “Bitcoin has evolved to become better-suited to being an asset than being a means of exchange”; Stripe will “stop processing Bitcoin transactions on April 23, 2018”. setgetgo is a needless middleman that forwards BTC a customer would otherwise send directly to you. The whole point of these gateways are to settle into fiat. Anyone can provide a link or button wrapper for a BTC payment. I see no value here. Hi, I don’t follow your comment.. Payment processors exist to facilitate payments. If setgetgo offers a way to facilitate proper payments in BTC, with no fiat involved, what’s wrong with that? Looks like you see BTC only in terms of their conversion to fiat… this not what BTC is about. Is there an app that i can integrate into my e-commerce site that will automatically convert the FIAT currency into Bitcoin? I run a site like Alibaba some of the clients are in Africa. I am looking for a solution to send them money cost-effectively. That said if i can integrate an app that will convert FIAT to Bitcoin, send Bitcoin to an exchange in their respective countries that would convert back to FIAT and send to their Bank account. We are creating an exchange but want to offer customers the option to change crypto to fiat back to their bank accounts, however, we are struggling to find a bank or service provider offering this merchant service.